While checking to see if I had received any mail yesterday, I opened my door to find a sparkling new advertisement for a local church resting its cute little paper arms comfortably around my door handle. I get these flyers from time to time - they must know how much I love them - and normally I just throw them in the recycle bin. But as you'll see, this time I just had to share. This delightful advertisement comes from the lovely folks running the New Heights Baptist Church in Wylie, Texas. I'm not really sure who that late Baby-boomer/early GenX Glamour Shots couple is on the front because oddly, they never disclosed it. But boy! Did they ever hit the ground running with that whole, "... during a time of pluralism, ecumenism, and humanism," bit! And that's my cue, folks. Let's crack our secular knuckles and get this party started. First of all, random white couple from the NHBC of Wylie, if you're addressing pluralism in the political sense, then that is who we are as a nation. If you're addressing pluralism from a religious perspective, then you're either unable to recognize or unwilling to admit that you are a religious product of the circumstances of the region of your birth. Nothing more. You cannot be so naïve to think that if either of you arbitrarily pictured humans were born to parents in say, Iraq, that you'd still be Christian. That whole ecumenism thing? Sorry well dressed, indiscriminate couple, that's on you and yours. Don't come crying to the rest of us about ecumenism when it was people like you two that decided to marry religion with politics back in the 70's. It was you and yours that accepted the term, "Christian" to mean everyone whose religion is based on the Bible. That includes the Catholics, Orthodox, Pentecostals, Lutherans, Methodists, Presbyterians, and the various Baptists roaming about the United States; not just the Southern Baptists that you appear to like so much. Stop whining about the twisted political creature you yourself created. Now as a humanist myself, I'll give you the humanism thing. I fully expect that a well manicured, sparkling-toothed Southern Baptist couple would most likely be at odds with rational thinking, evidence based philosophy. You are who you are, no? 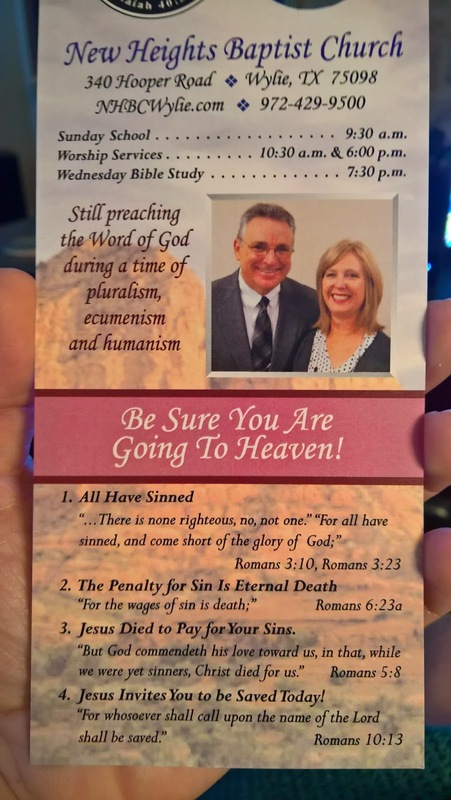 "Be sure you are going to heaven!" Hmph. It's always been amazing to me how much fear is utilized in their publications. Did you notice the implied, "And not the OTHER place"? That never gets old. Oh, and how arrogant and dimwitted does a person have to be to feel they have the right to speak for the almighty? Last I checked, the big Gal upstairs has the keys to the heavenly door, not you. Admittedly, there's a lot going on back here. I mean, a LOT. And rather than go line by line, which I simply do not have the literary fortitude to do, I'll just offer a general impression of this list and pick a few of these to address specifically. Remember this... If in the future you ever need an extraordinarily perfect example of the very definition of a Straw man argument, then this, my friends, is it. Wow. 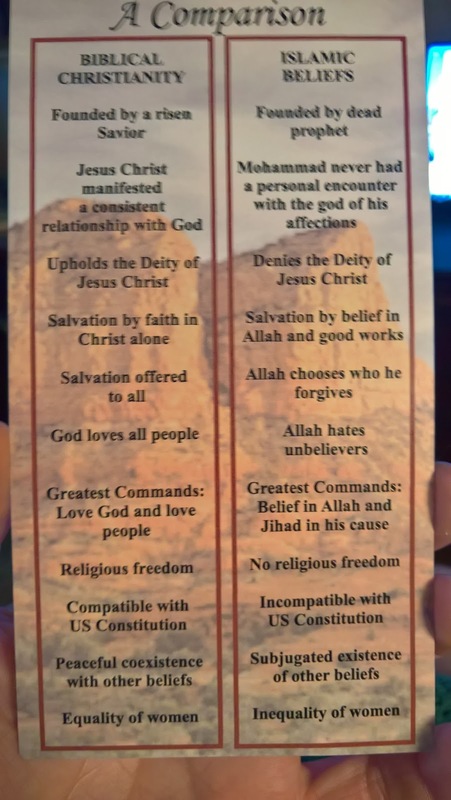 I don't think I've ever seen a list that goes so over-the-top with reductive, cherry-picked elementary school level arguments about two different religions. Plus, the way this dogmatic rhetoric is written, it really does give you an idea of the type of audience they are addressing. There's an underlying, "Us versus THEM!" message here that is very, very dangerous with the current political climate. They know there are hundreds of new families with different cultures and religions moving into our area, and they know most people that already live here understand very, very little about those various cultures and religions. So like any good Baptist church, they're exploiting it. For example, the matching lines, "God loves all people," and, "Allah hates unbelievers." This is so woefully over simplified that it's borderline grotesque. Dismissing the fact that this argument is specifically designed to cater to their "side", it is also easily refuted with a minimal knowledge of the Bible (or a search on Google.) Psalm 5, Psalm 11, Leviticus 20, Proverbs 6... just to name a few. And going back to the second verse listed on the front, Romans 6, eternal death does not sound very loving to me or anyone else that doesn't accept your tenets. The Abrahamic gods are all notoriously plagued with frivolous, unrefined human failings. And your Christian god is no different - only the point of view of your argument. "Religious freedom"? Excuse me? Either you do not understand what freedom really is, or you do not consider anyone else's religion a true religion. I don't know, I'm so confused by that line that now I'm thinking that it may be both. 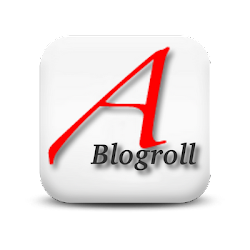 If "Biblical Christianity" (is there such a thing as non-Biblical Christianity?) 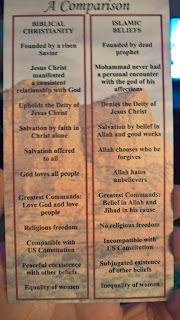 allows religious freedom, then why do you even need this flyer in the first place? "Compatible with US Constitution"? Wrong. And you know it. This is just another attempt at the Christian-right/religious-right in this country to legitimize the radical notion that the Constitution of the United States was inspired by the Bible. And with this line, you are attempting to make that idea mainstream. This disgusting concept from the religious right is demonstrably false, which makes you a liar. And if memory serves, that breaks one of your top ten commandments. Stop it. "Peaceful coexistence with other beliefs"? Again, wrong. Your perspective is so ridiculously dismissive of other people's experiences with sanctimonious Christians like you, that it's almost nauseating. Northern Ireland ring a bell? Remember Kim Davis? What about atheists like me? Not to mention your whole list here is the exact opposite of coexistence. I might even have a bit more respect for your church if you all just admitted that you will never accept a United States where Christianity doesn't hold a vice-grip on the population. "Equality of women"? I darn near spit my drink when I read this one! HA! How can you even assert this nonsense, when there are just so many examples in the Bible to the contrary? (Just take Lot's daughters, for a quick example.) As a matter of fact, there are so many examples of sexual inequality in your Bible that if I took the time to compile a list of them, the list would be so long that it would just be easier to give you a list of the chapters. So let's boil it down to one question, shall we? Do Southern Baptists allow women Pastors? No - 1 Timothy 2 and whatnot. Again, this is a blatant lie and you know it. For arguments sake, perhaps the context of this line-item was in reference to the first verse on the front of the flyer. Indeed, Romans 3 does mention that everyone sins (multiple times, actually). I don't know though, it just seems to me that female characters in the Bible tend to sin a tad bit more than their male counterparts. Or perhaps it was put there to indulge a more feminist society evolving around us. I mean, the numbers of people attending church are declining dramatically, and churches know it so they have to adapt or perish. That means trying to convince the skeptical (like me) that they have ALWAYS recognized women as equal to men! (Whatever...) But in reality, my money is that this little nugget was included as a "friendly" reminder that most Muslim women cover their heads in one way or another, whereas Christian women are "free" to let the wind flow through their freshly dyed, bottle-blonde hair. I'll conclude by saying that we have a very pleasant and friendly Muslim family who lives next door to us. I don't live in fear of them, nor do I wish any ill upon them for their beliefs. I can only hope that if this silly thing was placed on their door, (which judging by how churches like the NHBC of Wylie notoriously pepper subdivisions with religious propaganda, it was) they just ignored it and put it in the trash where it belongs.